I am officially a member of the 21st century--I upgraded my cell phone. I no longer need to flip my phone open and use actual buttons. I can talk to my phone and let it tell me where to go. It's marvelous. No really, I have always thought smartphones were a cool technology. As they have evolved, it intrigues me how they have become more and more important in people's lives. Now you can monitor your home security, start your car, buy stocks, and transfer money between banks right from that handy-dandy little device in your pocket. Even with all their glory, I believe smartphones have a dark side. Like any other device, contraption, or invention of humanity, these little gems can change the way we live for better or for worse. They are powerful, so their influence on our lives can be dramatic. 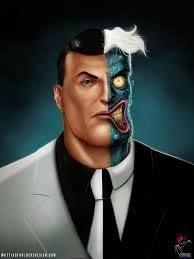 As an analogy, I want to compare smartphones to the beloved Batman villain, Two Face. For you that aren't familiar with Batman or his enemies, Two Face was a great guy and actually one of Batman's (Bruce Wayne's) friends. During the course of Batman saving the world, Two Face (Harvey Dent) suffers a terrible injury to one side of his face. It disfigures him, and he becomes very bitter toward Batman. The bitterness was less about his face and more about Batman allowing Harvey's beautiful fiance to die. The point is that Harvey becomes Two Face, a sworn enemy of Batman. This enemy is a stereotypical bipolar individual with two distinct personalities. Most of the time, the bitter and pernicious Two Face controls the scene and wreaks havoc on Gotham; but occasionally the real Harvey surfaces with his sensible, compassionate personality. It's a war between his split personality, and his duality is manifested in the normal and disfigured sides of his face. While I think this character is interesting, this post is still about smartphones. Hopefully I didn't lose too many of the women readers in that last paragraph! I think smartphones have this wonderful ability to make our lives better. They can increase your productivity, enhance your entertainment experience, and give you internet access wherever you happen to find yourself (unless you have Sprint). All great stuff! The benefits don't stop there, but you don't need me to tell you about how awesome these things are--there's a 90% chance you already have one (whether you know how to use it is another issue). So that's the nice, friendly, Harvey side of smartphones. From that side, they seem completely harmless and highly beneficial (Harvey was a district attorney that was cleaning up the city). But what happens when you see smartphones from their "other" side? Below I will list the top reasons why I believe smartphones can be detrimental if we're not careful. The good news is all of these things can be easily avoided if we just exert a little effort. #1 Smartphones enable anti-social behavior. Before you punch your screen and curse my name, notice I did not say they cause anti-social behavior. That's inside of us. Smartphones merely give that behavior a societally-acceptable and convenient manifestation. Many years ago when I got my first Nokia cell phone (circa 2002), I read an article in which the author predicted how cell phones would influence society. Of course by 2002 they had been around awhile, but nothing like they are today. His thought was that people would become so connected to their phone and their circle of friends, that they would fail to notice (or care about) the real people right in front of their faces. That author predicted that cell phones would allow people to leave their homes but never leave their comfort zones. They would always feel at ease because their friends were never more than a button push away. If something happened to them, they didn't need the person standing next to them anymore. They could just whip out the phone and call their friend to drive across town. Let me emphasize that this author was not saying cell phones were bad! He was merely pointing out a pitfall that should be avoided. Fast forward a decade and look around you. Walk through the malls and down the sidewalks and see people glued to their screens. Some of them are working--I get it. But most of them are playing or surfing, and the side effect of that is they literally do not see the people walking by them. It's comfortable for them. No eye contact necessary. No smiling, and certainly no need to talk to a stranger. Heaven forbid! Perhaps the most disgusting example of this is when my wife and I go out to eat together. We sit at our table and wait, like everyone else does. How do we pass our time? Smartphoning? No, we talk to each other. Then we look around the room and try to find people to ridicule. Just kidding. No, the disgusting part is when we look at a table full of people, all of which are staring at their phones. No dialogue. No sharing or laughing. They'd rather crush candy or tell their stories to their "real friends" on social media. Sometimes I lose my appetite. It doesn't have to be this way. In fact, most people I know who have a smartphone do not act this way. But it seems to me the more widespread smartphones become the more pervasive and obvious this behavior becomes. Smartphone users need to be told that ignoring people for sake of a device is rude and immature. I predict psychologists will invent a "condition" for this generation of smartphone children--something really official sounding like "Reality Attention Attenuation (RAA)". I know I'm being a little facetious. I like to have fun with things; so if you're having a hard time deciphering when I'm being serious and when I'm joking, I'm sorry--that you can't figure it out. What I intended for this paragraph is to tell you that I'm not stupid. I know there are times when smartphones need to be out and handy. Perhaps you're a surgeon and you're on call. Do you deliver babies? Please keep your phone in hand! And the list can go on and on for people who have real responsibilities and need to constantly have their phones nearby. But is that really why most of us cling to our phones so tightly? Are you really waiting for that super important text, DM, or IM? Probably not. Probably you're just waiting for a socially awkward moment so it can save you into the comfortable world of whatever you feel like looking at. #2 Smartphones can be addictive. 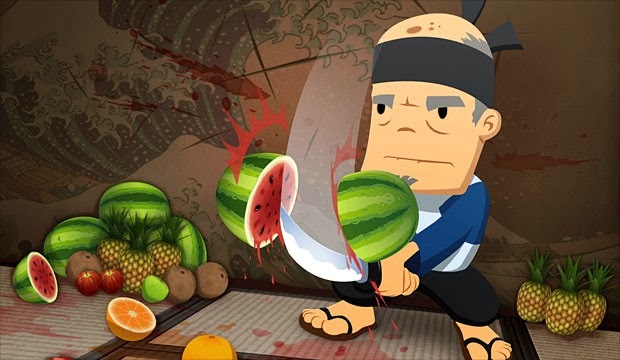 Okay smartphone users, how many times have you skipped a responsibility because you wanted to play a game on your phone instead? Don't try to count. I need you to keep reading this blog. Stay focused. Most people understand that video games can become addictive. Really, any activity that gives us pleasure can become addictive. It's no secret. The issue with smartphones is THEY ARE ALWAYS WITH YOU! In the old days, parents would kick their kids out of the house to keep them from playing video games. Now the kids have all their games on their phones; and so do the adults! I'm not against games. Really, I'm not. I would love to be the person who makes a fortune on selling my game to people with a volition to waste their time. It seems like a pretty cool gig. Every time I go to the Top 100 in the App Store and see that 57 of the 100 are games, I am reminded how video games are like crack. No seriously, researchers have found that the combination of color, sound, and accomplishing something in a video game stimulates the "reward center" of the brain in a very similar way to recreational drugs. And the addictive effect is very similar. Brain likes and brain wants more! Brain says work can wait. Brain says ignore those people. Brain says gimme gimme gimme! 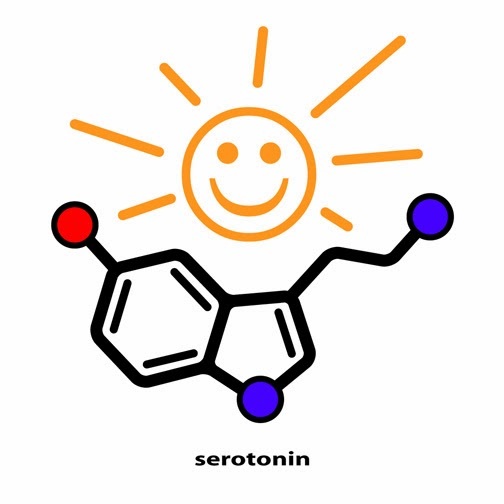 More dopamine and serotonin please. Games are not the only crack sold in the App Store. Social media apps are a pretty solid lure too. In fact, you probably are reading this blog via Facebook. And you that follow me on social media know that I like it. It's fun, it's informative at times, and it's mostly free. I get it. But ask yourself, "Self, do I need to see every status update and funny political cartoon that gets posted to my newsfeed?" It's a tough question. We all know the "right" answer is no. But then the reality is brain wants to so we check it, and check it, and check it again. We check it more when social awkwardness arises too. Nothing to say? Just check Facebook. That'll help. #3 Smartphones can be dangerous. Texting and driving is roughly as smart as doing meth or smoking at the gas pump. But texting is only one fun thing you can do on your phone while driving! There are so many other beeps and dings to distract you from the minor task of directing a moving vehicle. I predict smartphones will begin to rival alcohol for number of vehicular deaths per year in our country. PAY ATTENTION TO WHAT IS IMPORTANT! This was illustrated to me a couple days ago when I went downstairs at my work to get a coffee. I was walking and playing on my iPhone and nearly walked into a 24-inch diameter concrete pillar. Thankfully my reflexes took over my body and jerked me out of the way. I checked to make sure nobody was looking. If they were, they did a good job looking away as I scanned the room. I felt stupid, but I was also reminded that nobody can stare at a phone and properly direct a moving object. You just can't. So far smartphones have not been linked to cancer, hair loss, or infertility; but they have been associated with death, stupidity, and social ineptitude. This association is circumstantial and entirely dependent on the habits of the user. Smartphones are fantastic devices, just like guns. They have changed the world, just like guns. But just like guns, there are some people who probably should not be allowed to have smartphones. Now that I have a smartphone, I have made some promises to myself. 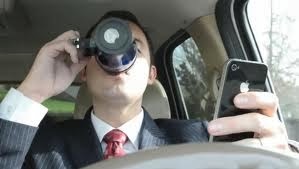 #1 I will not do anything on my smartphone except talk on the phone while I'm driving. #2 During social encounters, I will keep my phone in my pocket unless someone calls/texts me. #3 I will never play Candy Crush Saga. I have no financial investments in Facebook, Apple, Nokia, or Sprint (thank goodness).